I have been keeping a bit of news for a while and finally get to share it with you!!! 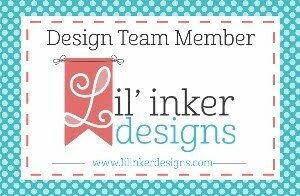 I've been asked by the sweet and talented Laura Pryor from Lil' Inker Designs to join her FIRST Design Team!!! Yep, I'm a Lil' Inker Designer and I couldn't be more excited!!! I have been following Laura and her stamps for many months now and can't wait for this new venture. Did I mention JUST stamps? No, she has coordinating dies to match! If you know me at all, I LOVE coordinating products! 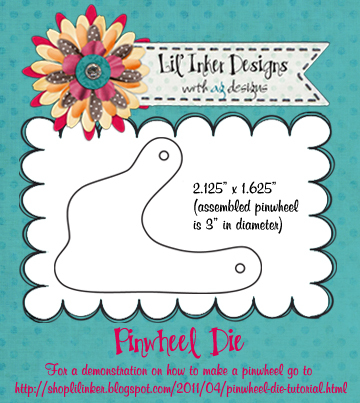 Here is what the pinwheel die looks like........so easy to use! I've cut 7 of these for my accent above but you can make the pinwheel with more or less. Just depends on how "full" you want it to be! Have you been following Laura's blog this week? Laura has put together an amazing DT lineup. Make sure to keep visiting her blog..........there are more DT introductions in the next few days! 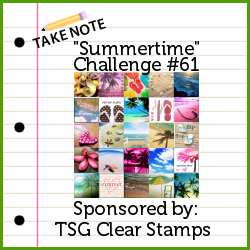 Our first group post is August 8th and we're kicking it off with a Blog Hop! 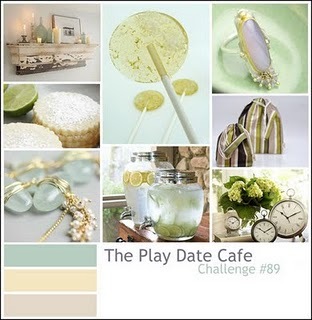 Off The Wall Craftiness color challenge! The colors this time around are Peach and Navy. Speaking of Navy.....I need a pair of of those cute cute shoes! Those are sooo ME! 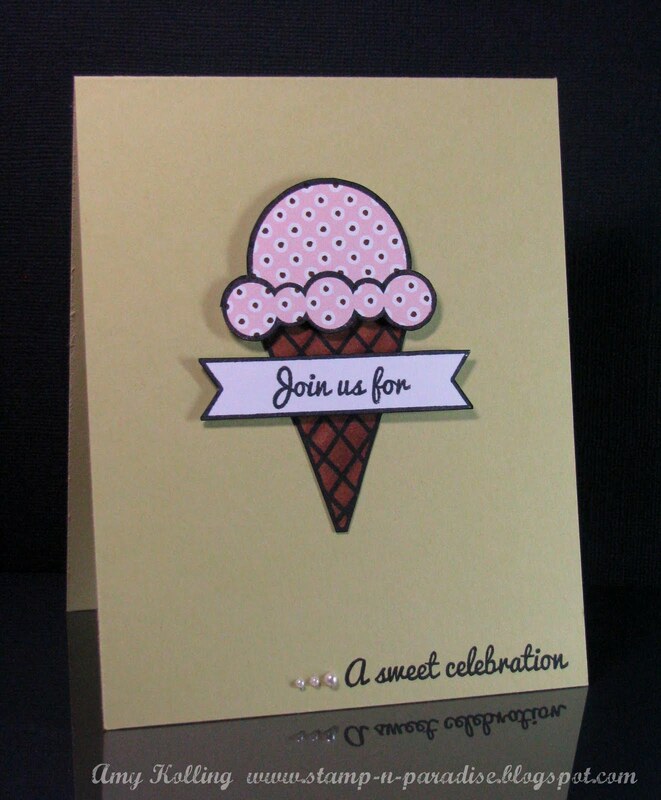 I pulled out my Scoot Away with Me set from Wilson Designs for my card today. 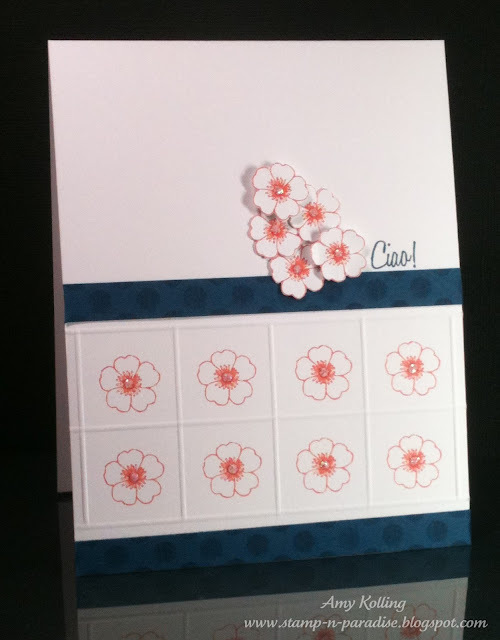 Some fun Scor-pal detail and simple stamping make one CAS card. I have to apologize for my photo as it was taken with my iphone.........my real camera is still on vacation in Boston but it will be back tonight! Yay......my hubby and son will be back too! I can't wait to see them and hear about their trip........it's been almost a week! 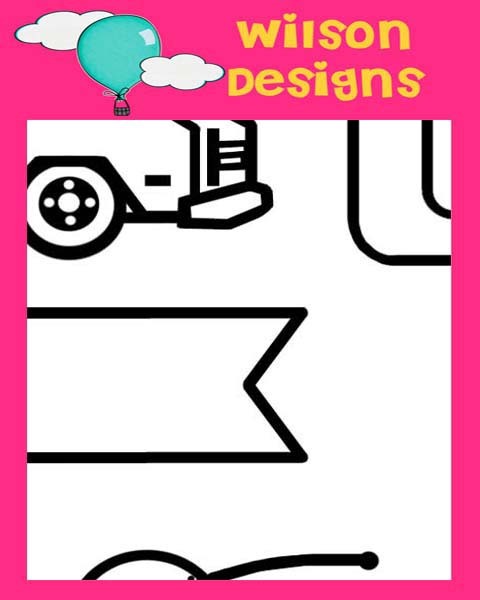 This week's sponsor is Wilson Designs and one random winner will receive a Scoot Away with Me stamp set! So let's see your peach and navy creations!!! All supplies are PTI unless stated. Hi everyone! 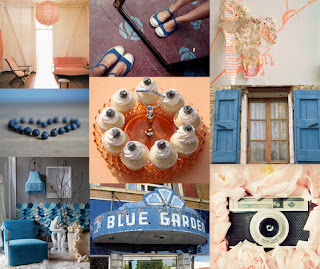 Welcome to the PTI blog hop! I am currently away at Stamping Away! You may ask, "What is this?" Well, it's where my good friends, Jen Carter and Laurie Willison and I get together and stamp! None of us could get away to the PTI Stamp-a-Faire so we thought we'd get together on our own. I took the color and some of the pattern from the quilt for my card and of course a butterfly! This was my first time (i know i know) using Delightful Doilies! LOVE! Laurie was so nice to take my photo for me......my camera is currently in Boston, Massachutes on a vacation! Thanks Laurie! Look at this next photo for all 3 of our cards together........this pic could be in the next Papercrafts magazine, don't you think? Laurie takes amazing photos! 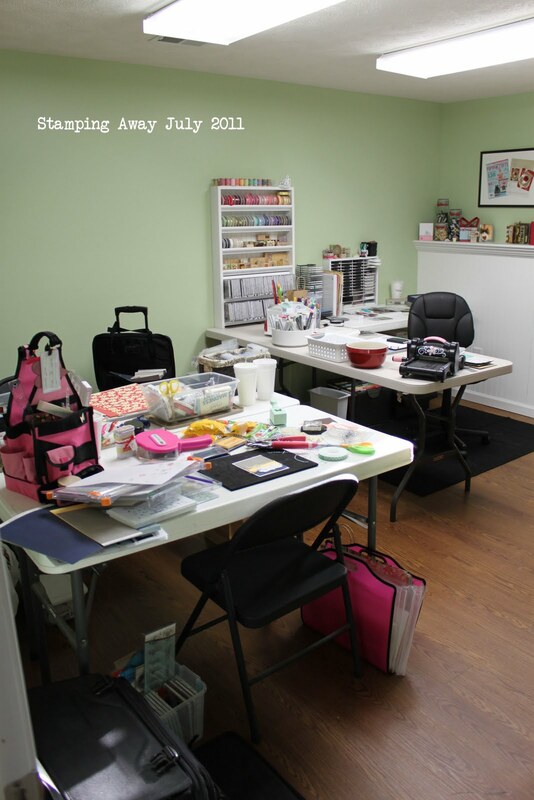 Here is a picture of our workspace.........and Laurie's new craft room. Love the paint color and it is so BRIGHT in there! Such a great space! We always look forward to our get togethers. We have lots of laughs, good eats, and make lots of memories! Last night, Laurie lost electricity and it RAINED! Yes, I said rain and it was soo cool last evening that we sat out on her deck and soaked it up! Hello!!! With all this continued HEAT here in Kansas, I am sooo longing for the beach! Just whisk me away to where there are glorious blue waters, cool breezes, and sand. Ahhh....doesn't that sound great?? Today's post is just that.......BEACHES. Come join Off The Wall Craftiness for this week's challenge. Just look at this inspiration photo. 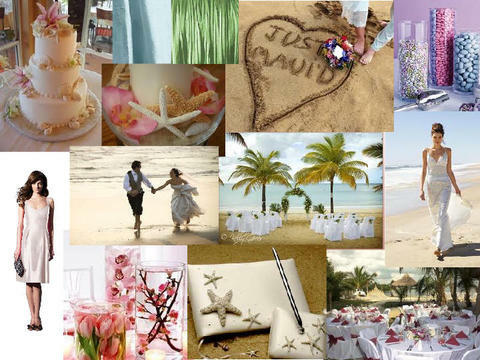 This week there are no particular colors just BEACH! Let's see what I came up with. I went a little more bright than my usual but I really like how it turned out. 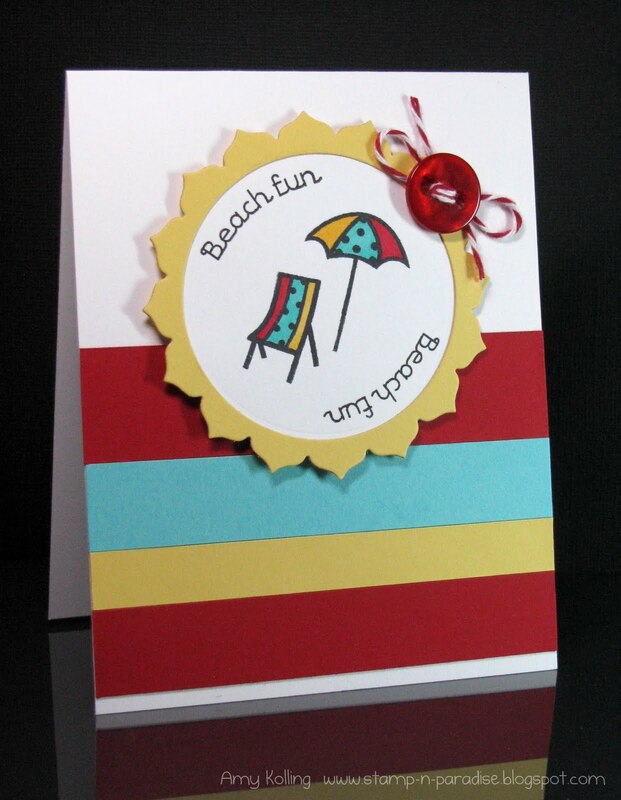 Combining some color blocking with these cute little stamps from Wilson Designs stamp set: Teeny Bikini. This challenge is sponsored by MDsparks........OH MY! You will love the eye candy over there! The winner of this challenge will receive $15 credit to the store! Sweet! Have fun with this challenge......It should be fun to see the entries for this one! Thanks so much for stopping by! Have a great weekend! 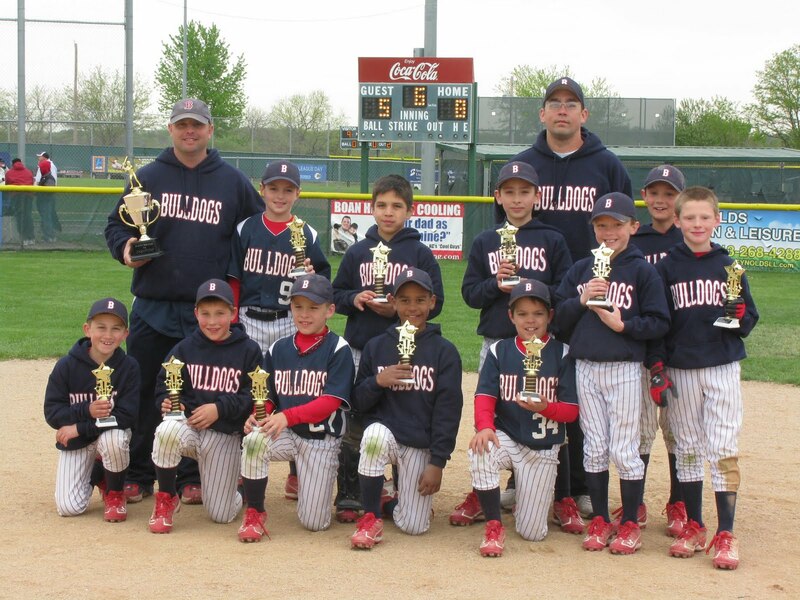 ****NOTE: My son's baseball team won it's first game in the World Series! Yippee! I won't be around this weekend on the old blog but I'll be sure to post on FB the progress of the team!!! I know I said it in my last post but friends it's HOT HOT HOT!!! Again over 100 degrees here yesterday and so I got to spend some more time crafting! 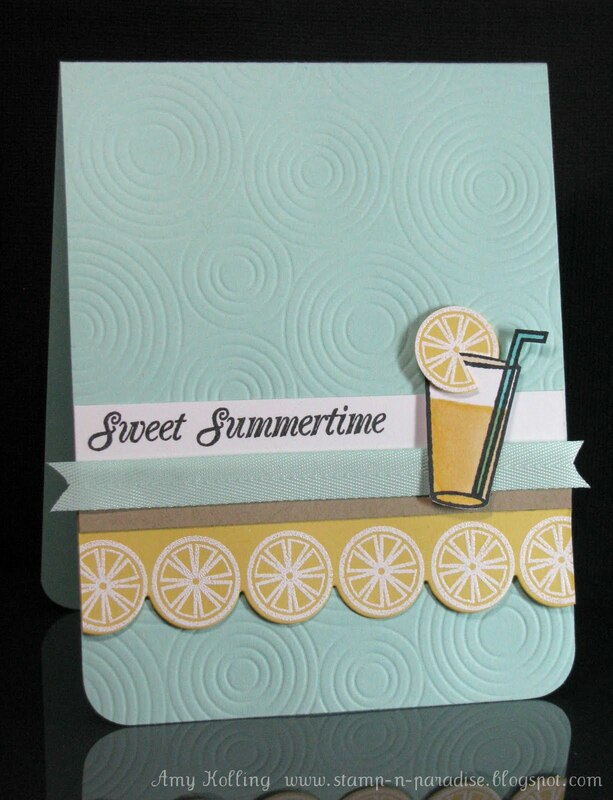 My card today features the newest stamp set from Wilson Designs: Strawberry Lemonade. 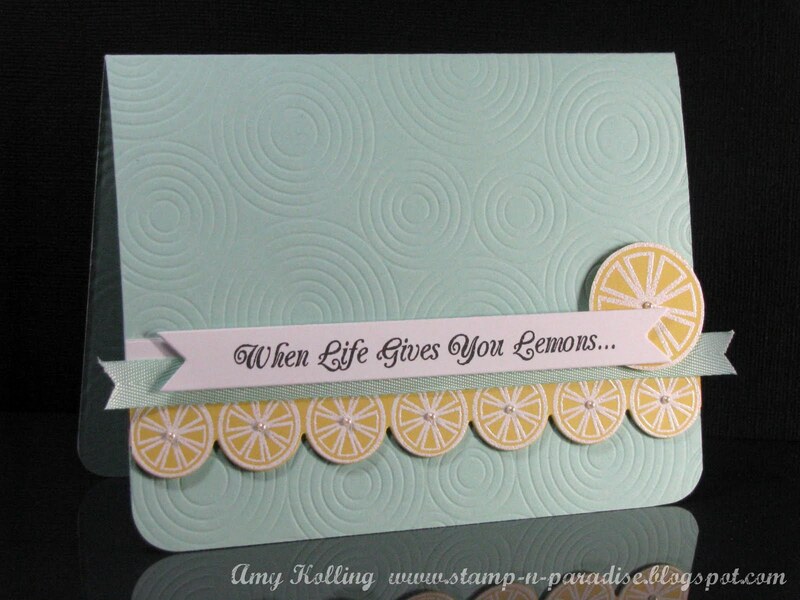 I made one very similiar for the stamp release however I still had another embossed lemon border on my desk and thought it was perfect to go with the challenge over at the Play Date Cafe this week. Take a looksie at this inspiration photo! My inspiration came from the photo directly center............I think a cold glass of lemonade is one of the best things about summer. Now for my card.........I had this idea since receiving this set to design with to add a little lemon slice to the side of my glass......sooo fun! I also made this for the challenge over at Wee Memories..........anything SUMMERTIME. There is still time to check out this challenge!!! I'm off this evening to my son's last regular season baseball game. Kinda sad but never fear......we are going to the Single A World Series this weekend in Liberty, Missouri!!! Go Bulldogs! This picture was taken early on in the season where we actually HAD to wear sweatshirts! My little guy is the second one from the right (he's standing next to the boy without a hat). They have improved soo much this season and I can't wait to see what next season has in store for them!! So I decided to stay indoors today as the temperature today hit over 100 degrees here in Kansas. Great idea to spend some time in my craft room and keep cool. So when browsing the challenges, I remembered Mojo Monday ended today! So here I am at the last minute! I have been using my Distress Inks soo much lately that I thought it fun to use them here with some Verve goodness! Using Spiced Marmalade, Fired Brick, and Mustard Seed, I sponged these over white embossed flowers from Hope Blooms. I am in LOVE with the results and it's sooo easy to do!!! 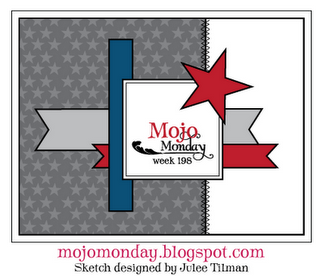 I used the Mojo Monday sketch but turned it on its side and placed the elements a bit differently......I hope that's OK as that's what my interpretation of the sketch was! It's kind of hard to tell (should have used darker ink) but I stamped the friend border strip from Texted Objects on my scallop strip before sewing it to my sponged panel. What do you think? I love how the Distress Inks match so many of my PTI colors......here I used my Terracotta Tile ribbon and cardstock. Ok, that's it for me tonight!! This also was made for the challenge out there over at Moxie Fab where "stamping is the predominent element".........Stamp It! 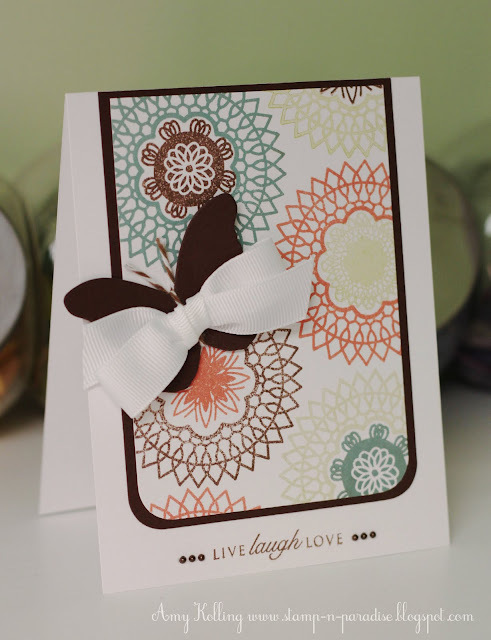 Cards Week Challenge in the Moxie Fab World. 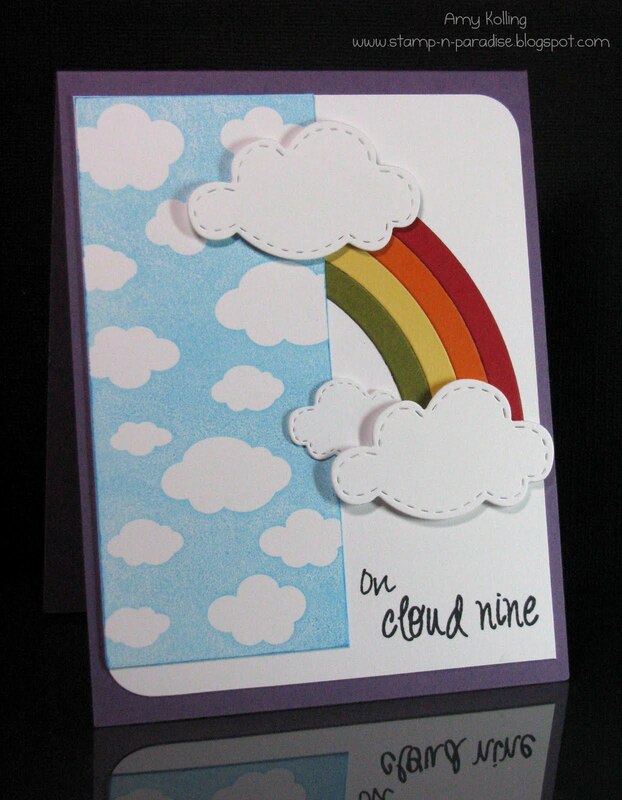 I wanted to pop over here to say that these new Rainbow and Cloud dies (especially the clouds) are just so much fun to use! 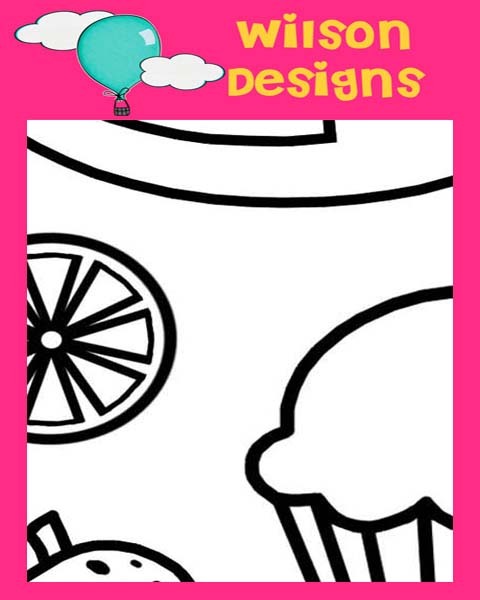 They are from Lil' Inker Designs and you must go check them out! I'm going to send this over to Wee Memories for their Summertime challenge!! Have a great Friday! Today you get to see all of the images from the newest stamp sets from Wilson Designs! They are fun, summery, and yummy! :) No more waiting........here they are! 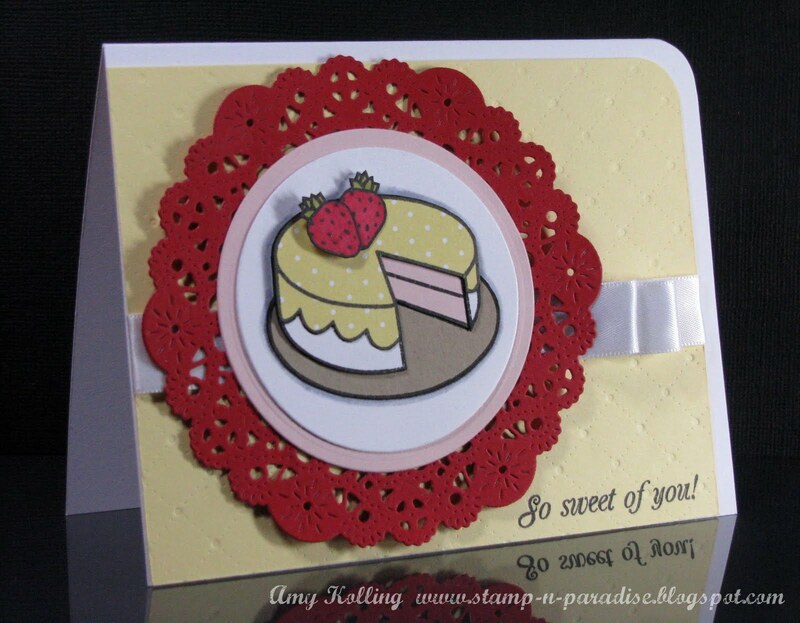 I have 2 sweet cards to share today using the main images from these sets.........First, the cake from Strawberry Lemonade. I paper pieced the cake with several layers of cardstock and pattern paper. Then topped it off with 2 tiny strawberries from the same set! And look at that font for all those fun sentiments!!!! I am in LOVE! 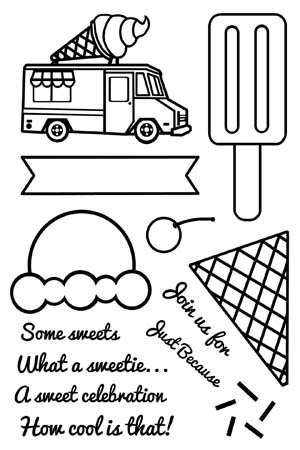 Next is a fun CAS card using the main image from Sweet Celebrations......the ice cream truck. 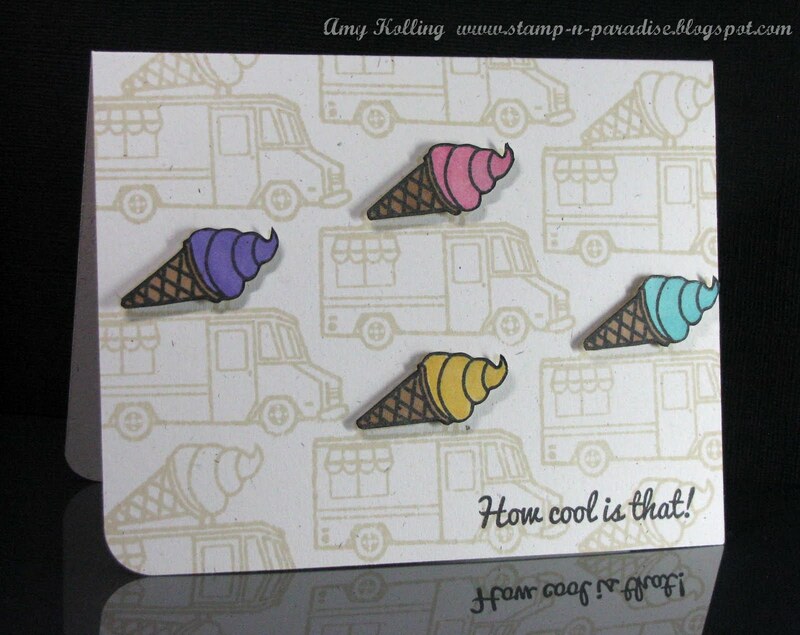 I thought it fun to just highlight the mini ice cream cones on top of the truck.........so they are popped up and colored with Copics. This little truck so reminds me of an ice cream truck that came around my neighborhood when I was growing up. 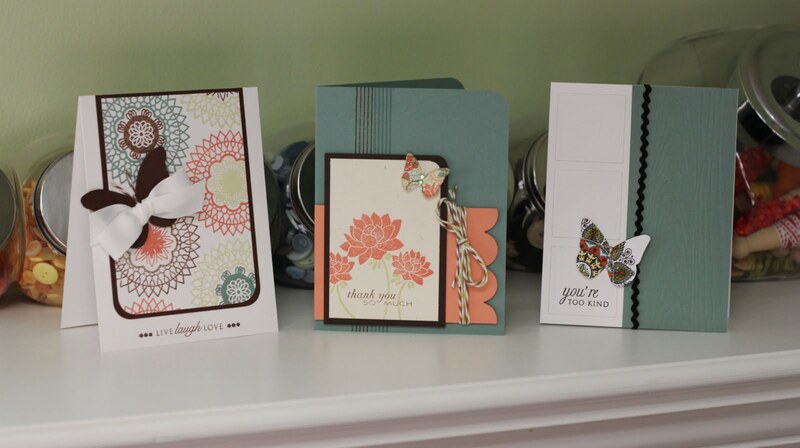 Guest Designer: Mariana Grigsby for your chance at winning these fun new sets! We don't know whose blogs the winners will be chosen from!! Hi everyone!! Today I finally get to show off my samples made with the newest additions to the Wilson Designs lineup. Both of these sets have a fun summer theme! 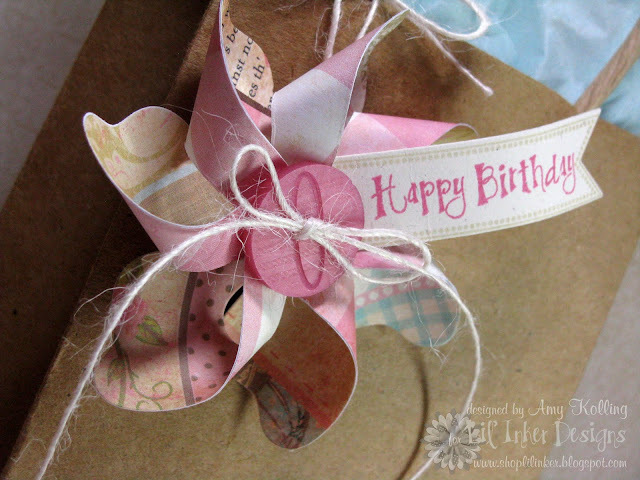 I know I said this last month.......but I am loving these font choices for all the sentiments!!! 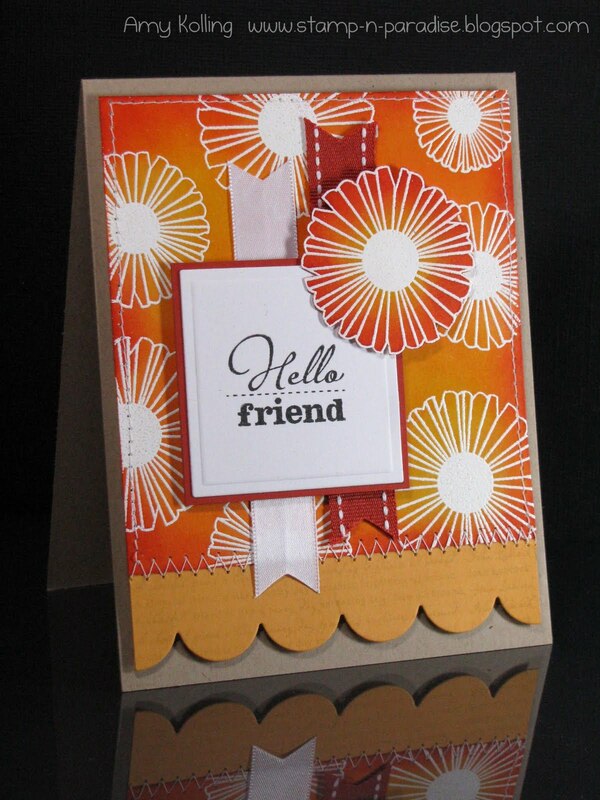 My first card uses some of my 6 x 6 pattern paper stash.........Emma's Shoppe Collection by Crate Paper. I just love this line of papers....so mixy matchy! 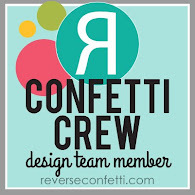 I did some fun machine stitching to make a fun colorful banner using the ice cream cone! My next card using this same set is pretty CAS.......:) I do not know why I had so much trouble photographing this card. The base is Spring Moss but it looks almost grey here. Next up is a sweet little card that I had envisioned first when Kim sent us our stamps to work with. These cute little lemon slices fit perfectly in the medium scallop die!!! 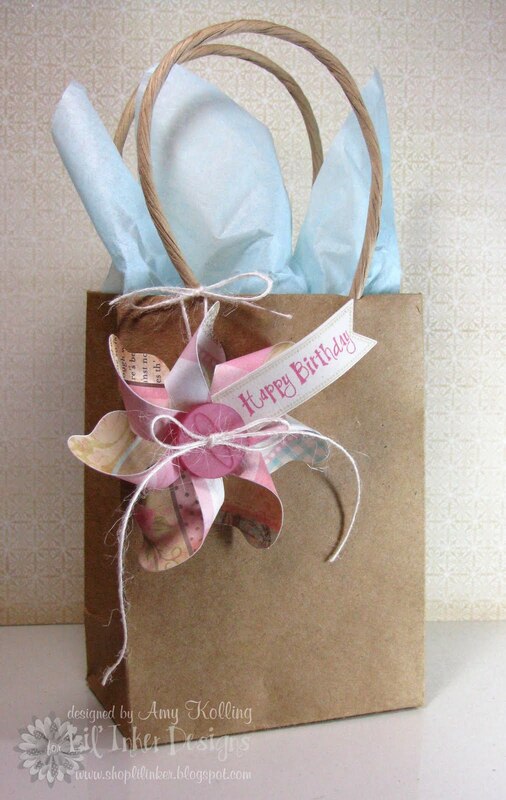 I versamark stamped and white embossed them to standout. For my last card, I broke out those Distress Inks.......I can't wait to show you more with these. I have soo enjoyed using them more! 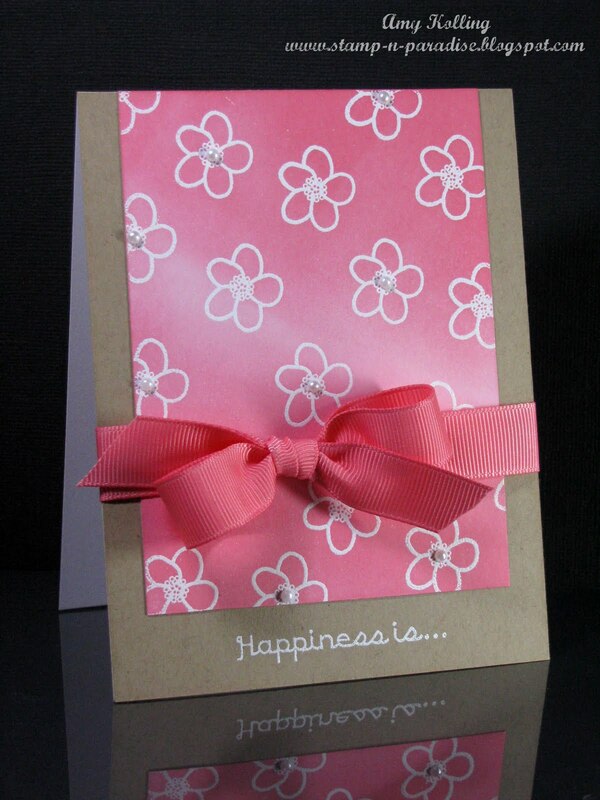 Here I've white embossed the flower included in this set and then used 2 shades of pink Distress Inks and blended/shaded them here for the graduated effect. The colors match perfectly to PTI's Berry Sorbet! I would love to hear what you think of the images so far in these sets! I think Kim has done a fantastic job designing these new sets. There are some images from the sets you haven't seen yet because we always save those for Release Day. So that just means you need to stop by tomorrow evening for the release to check out the main images! Ok......remember to stop by all the DT blogs to check out their fab designs and make sure to leave a comment. 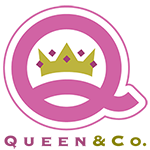 You never know who's blog the winners will be chosen from! 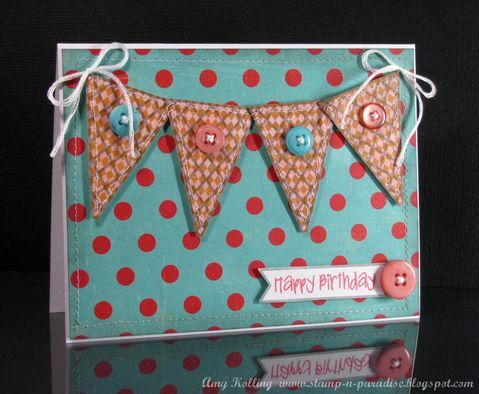 Happy hopping and make sure to welcome the very talented Mariana Grigsby this month as our Guest Designer!!! Hi everyone! I hope you all are enjoying the 4th of July holiday weekend. We've been busy busy with my son's baseball tournament and are now enjoying some time with friends for the rest of the day swimming, BBQ, and fireworks! I just LOVE the summertime! This month Kim has another FABULOUS release planned for you! 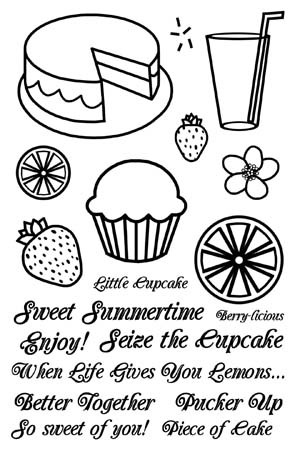 Again this month, Wilson Designs has 2 new stamp sets that will be available and they just scream SUMMER! By now you all know the rules........comment to win these new sets! Please visit all the other DT blogs and be prepared for samples starting tomorrow!